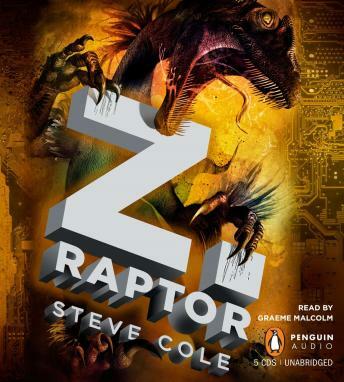 More nonstop action in the sequel to Z. Rex! Thirteen-year-old Adam Adlar used to have a normal life. Then his father created the most advanced video-game technology ever, and scientists stole this technology to create dinosaurs with a human's ability to learn . . . and a beast's ability to kill. Now hyper-evolved species of raptors battle in clans for supremacy on a deserted island where the only law is survival, and it's up to Adam to make sure the raptors don't get to the next level.